I came across this quote in my bible by D. T. Niles. One beggar telling another where to find bread. This really made me think. Isn’t that how it should be? I think we’ve forgotten that we’re all here together. So many hungry, starving, dying, for bread.At the very end of last year, I made a radical change in my life. Much from, no pun intended, the book Radical, by David Platt. I started going to church and began to start going through those same familiar hypocritical motions that go along with calling yourself a Christian. I had heard the buzz about the book and didn’t think it could be true. I wasn’t looking for anything to “rock my world” like everyone I had talked to told me that it would. In the back of my mind, I honestly didn’t know why I would even read it. I didn’t want to live a radical life for God. I wanted to live for me and He could be there just in case. That’s what I had been doing. I bought the book. And I started to read. I couldn’t stop. I was amazed at how eye-opening it was. What if everyone was right? What if it would ruin my life for the better? They were. And it did. After reading the book. I could see my life from the outside, how others saw it. And it made me sick. More than it ever had. There wasn’t a bigger definition of hypocrite in the book. I was ashamed that I could call myself a Christian when my life obviously said otherwise. I had been to this place before, like at every D-now I had been to, every year I would feel terrible and pray for forgiveness only to be at the next party the weekend after. This time it was different. It was harder. I was sick and I wanted a real relationship with Jesus Christ, one that I could live radically inside of. So that’s what I got. Radical abandonment into His arms. I recommitted my life after so many years of faking it and started brand new with the Lord. Not to take away from the book, but it wasn’t what changed me. It was from the inside. I decided not to burn out like I had so many times before. Not to try to be a good person for a week and then go back to my old ways. From then on, I was going to be a Christian, not just say I was. That was in December. I can’t believe how much my life has changed since then. There’s no comparison to the happiness I’ve been blessed with since then. I can’t help but want to share that. It’s inexplainable. Everyone needs it. So that’s my goal. 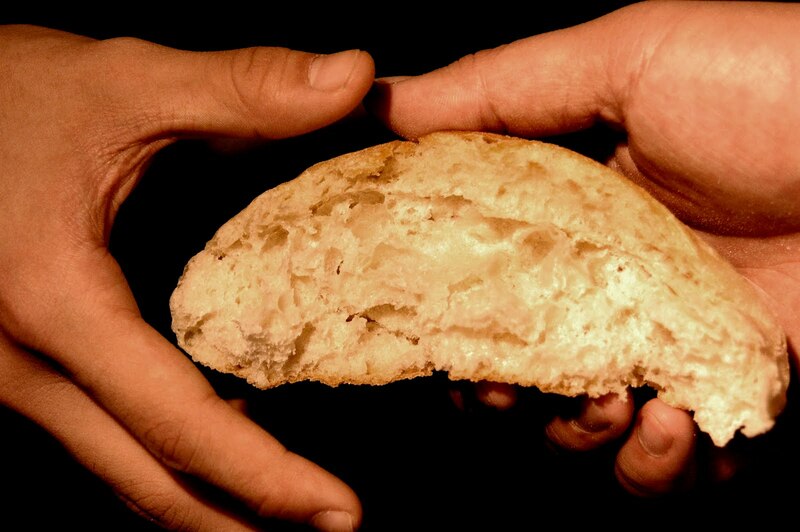 Help beggars, sinners, like me, that are starving, find bread. So many are so hungry, when they can be so full. I want to take them to the bread. I’m going to help them find that bread that I found and am so desperately in love with. The only bread. Shouldn’t we all?